The Shangri-lá System utilizes vibration and rocking to eliminate heaviness in the thighs and buttocks. 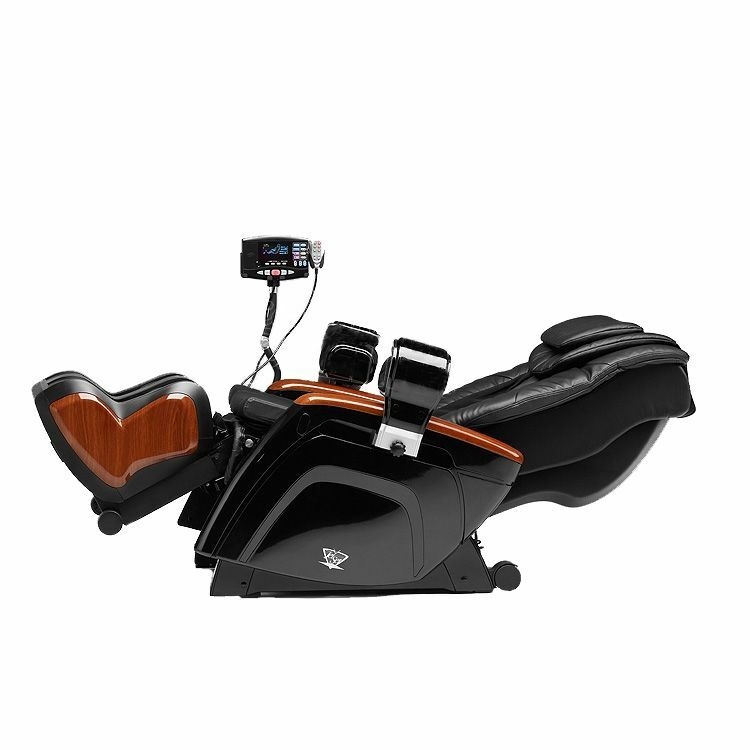 During the massage, the user lies down flat with the knees aligned with the heart, feeling how the body rotates in relation to the spine and the vertebrae go back into place. 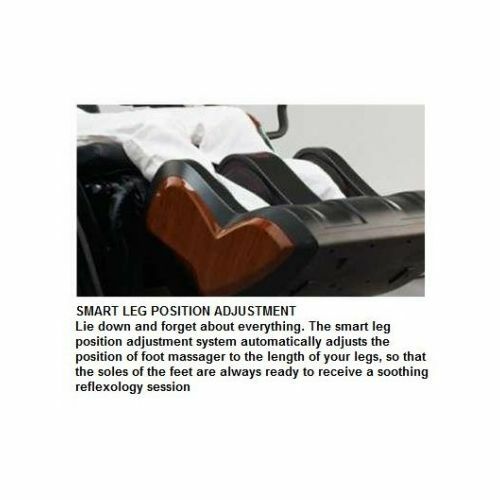 This massage helps the body regain total balance. 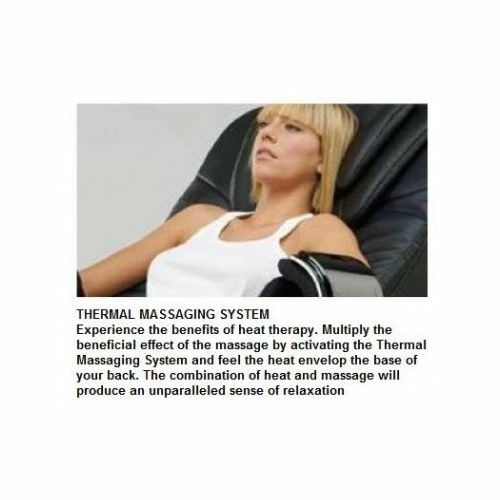 Thermal massaging system uses therapeutic heat to relax the back, thus multiplying the beneficial effects of the massage. 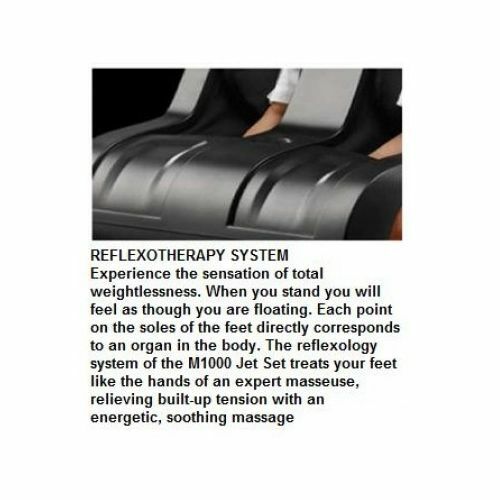 The reflexology system of the M1000 Jet Set relieves the tension in the feet with an energetic, soothing massage. As each point on the soles corresponds to an organ in the body, the massage has beneficial influence on the whole body and provides a feeling of pleasant weightlessness. The smart leg position adjustment automatically adjusts the position of the foot massager to the length of the user’s legs in order to make every reflexology session as beneficial as possible. 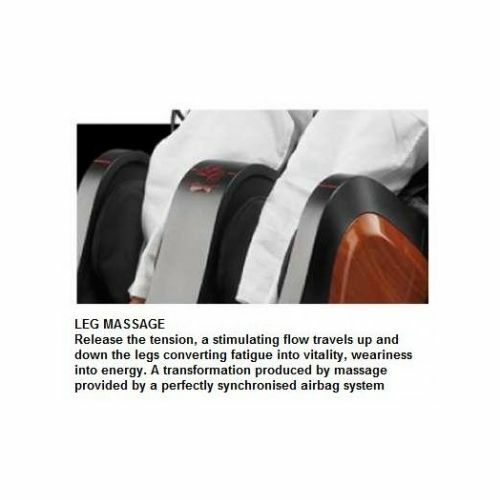 The leg massage relieves the tension in the legs, converting tiredness into energy with the use of an airbag system. 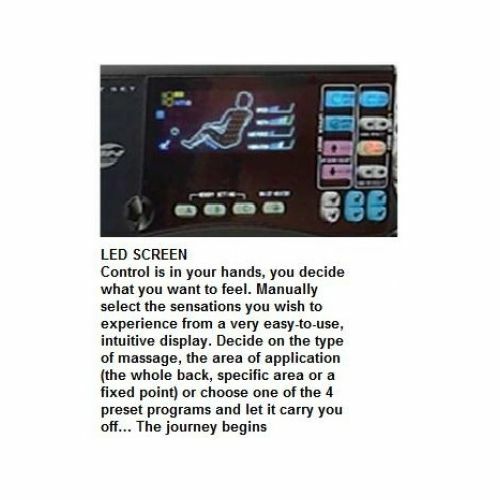 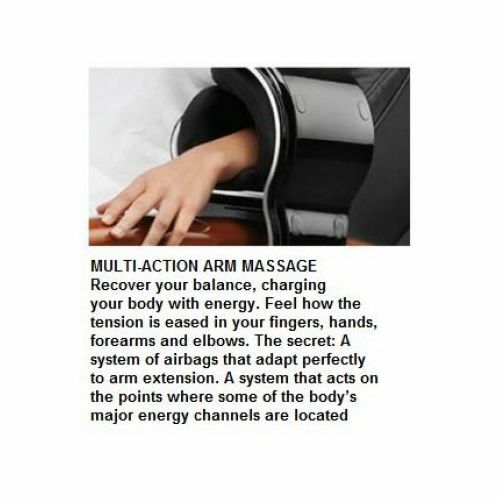 The multi-action arm massage eases tension in the fingers, hands, forearms, and elbows with the use of a system of airbags perfectly adapting to arm extension. 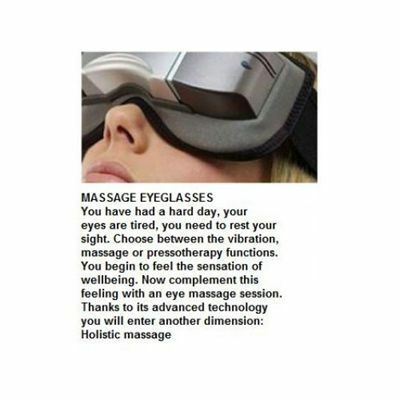 The Power Eyes eyeglasses offer eye massage: an excellent complementation of every relaxation session. 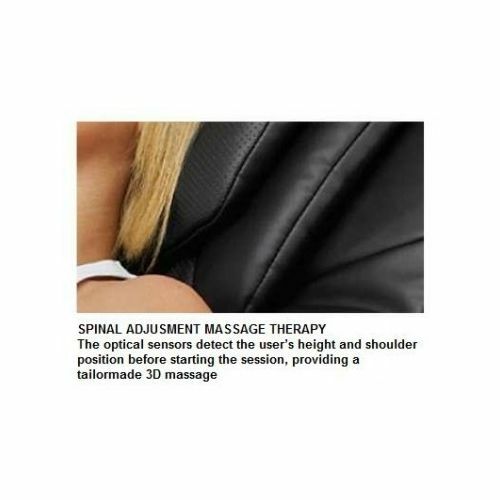 The Spinal Adjustment massage therapy relies on the built-in optical sensors, which recognize the user’s height and shoulder position before starting the session in order to tailor the massaging programme to the user’s individual needs. Pummelling massage – stimulating massage which feels as if knuckles were passing along the back for relaxation and improved blood circulation. 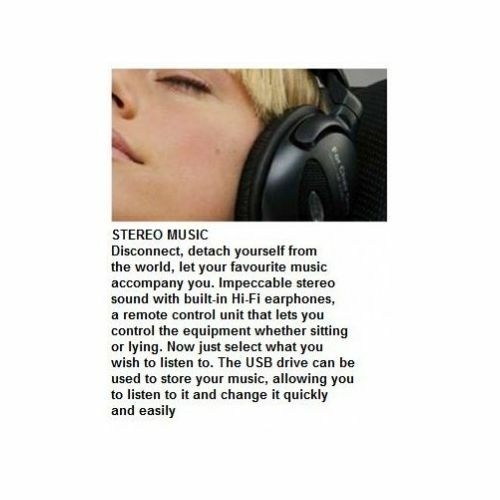 Musical therapy - massage synchronised with the user’s favourite music to enhance the effect of the selected melody. 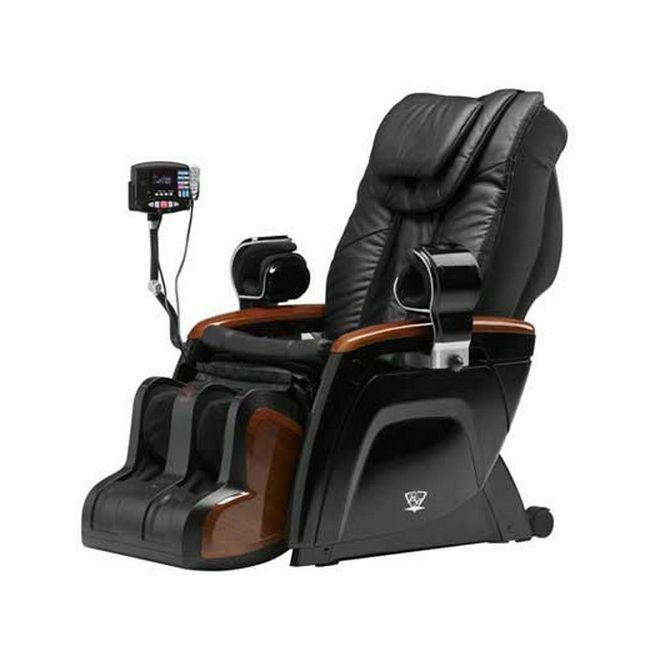 for submitting product review about BH Shiatsu M1000 Jet Set Massage Chair.